It is necessary to have a large amount of aeration in a Koi pond, and this is usually supplied by a waterfall. If the pond is well stocked as usually happens and when the fish get bigger then many hobbyists find it necessary to add extra aeration using air stones. 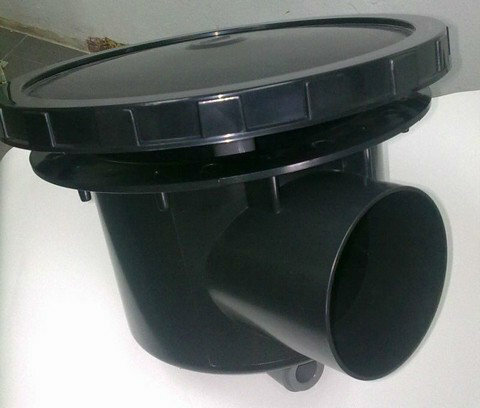 This does not look very good in a pond and to overcome this Air diffusers which are fitted instead of the usual dome on the top of the bottom drain is used. They present a circular column of fine bubbles from the dome to the surface of the pond, and the movement of the water helps to move the debris towards the bottom drain and so improving it's efficiency.